This year why not surprise your family with one of these DELICIOUS Easy Easter Dessert Recipes? From nests to bark, and yummy cakes we’ve got it all! Does your family have a favourite Easter dessert that they like you to make each year? This year why not surprise them with something new. I’ve been checking out the best easy Easter dessert recipes that my foodie friends have to offer, and I’m sure there is something here your family will love! 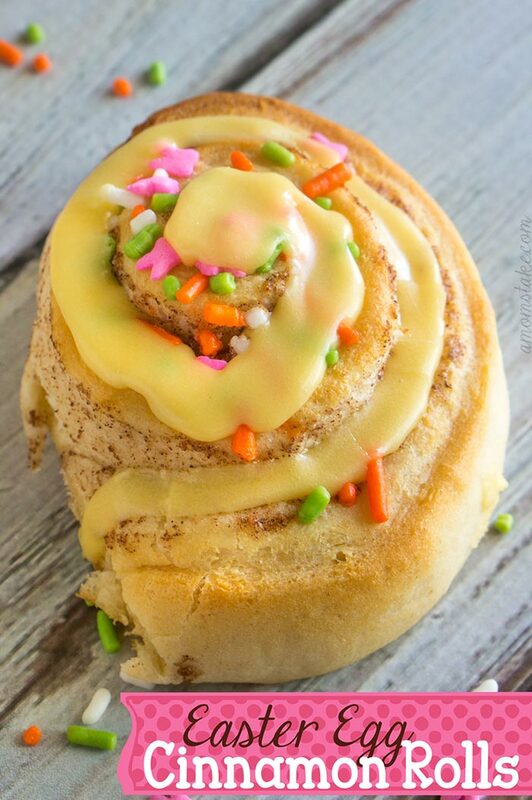 Easy Easter Egg Cinnamon Rolls – A Mom’s Take – Well there’s a dilemma. Do you eat these for dessert, or breakfast? Or both! 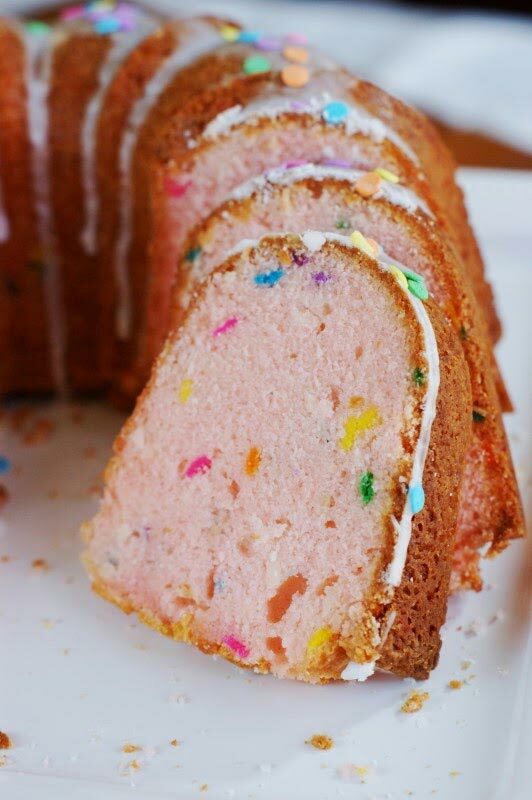 Pink Funfetti Pound Cake – The Kitchen is My Playground – Oh my this Funfetti Pound Cake looks DELICIOUS! 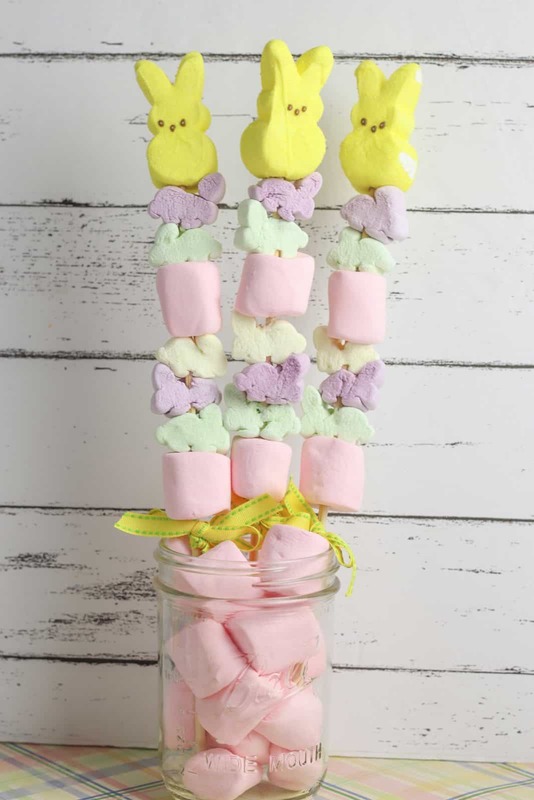 Beep Bunny Kabobs – Just Bright Ideas We think the Easter bunny would give these marshmallow Peep kabobs a thumbs up! 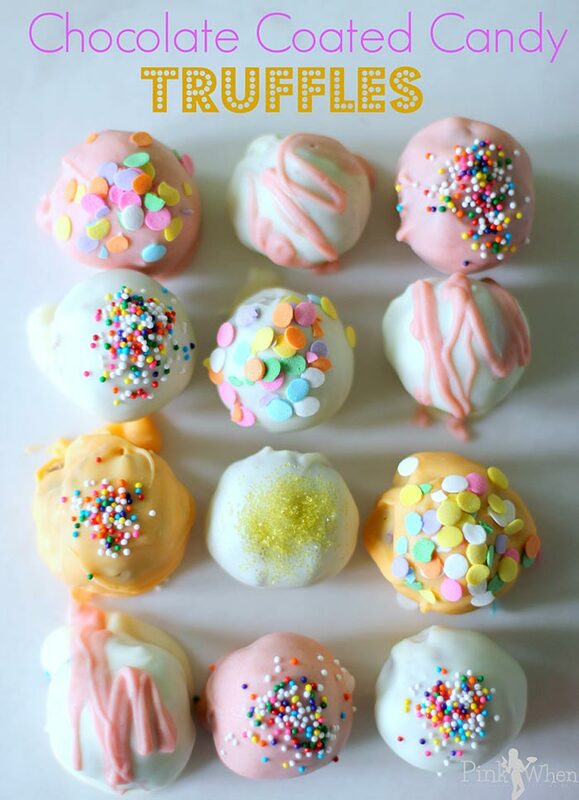 The perfect treat for an Easter party or play date! 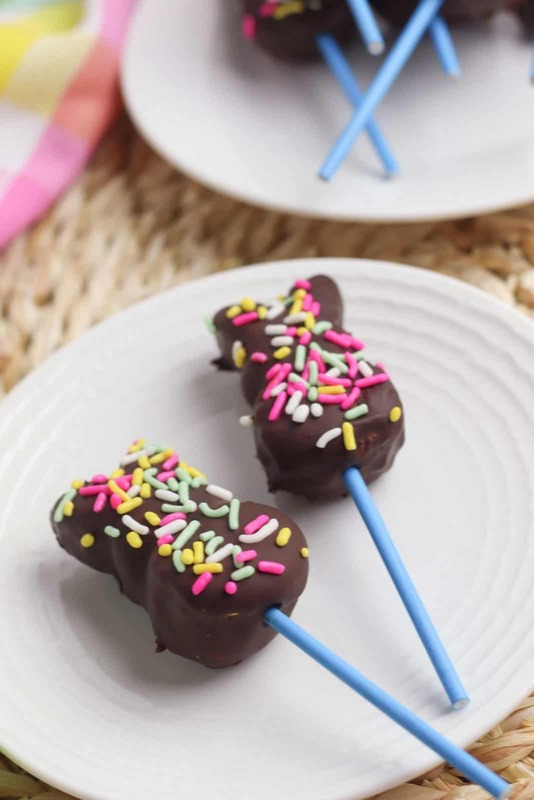 Chocolate Covered Peep Bunny Pops – Just Bright Ideas – Even the Easter Bunny would approve of these adorable chocolate covered bunny pops! 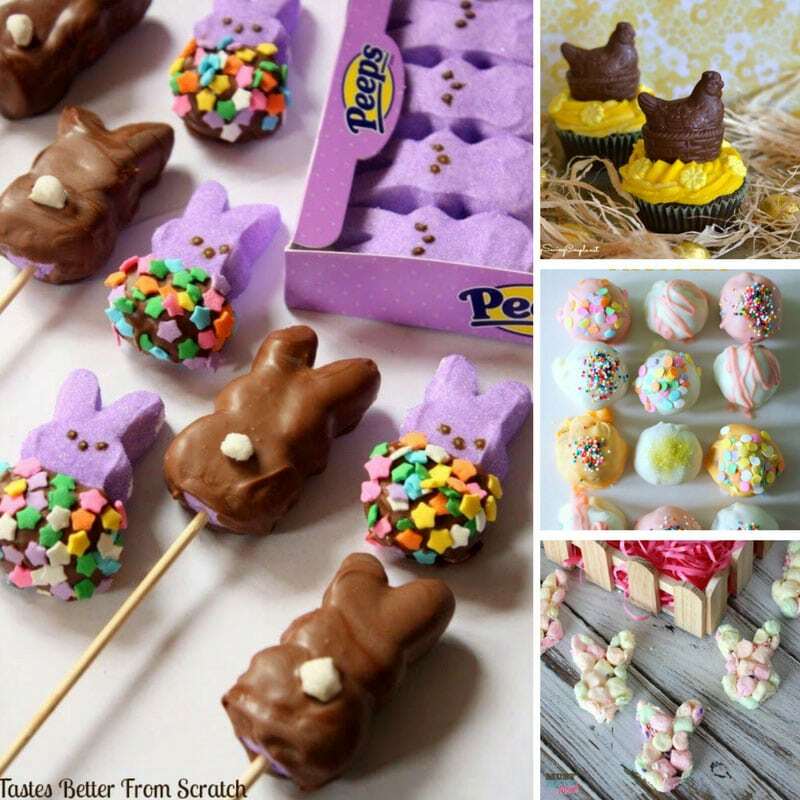 A must-make if you love Peep marshmallow treats! 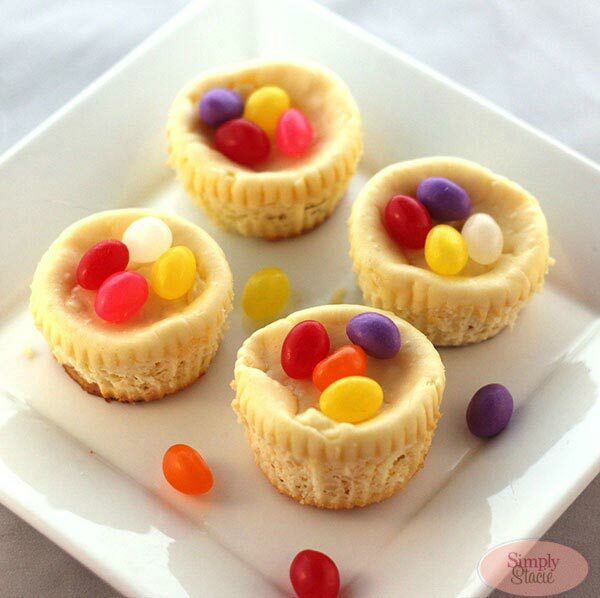 Mini Easter Cheesecake Recipe – Simply Stacie – Oh here’s an Easter nest dessert with a different, this one is made from cheesecake! 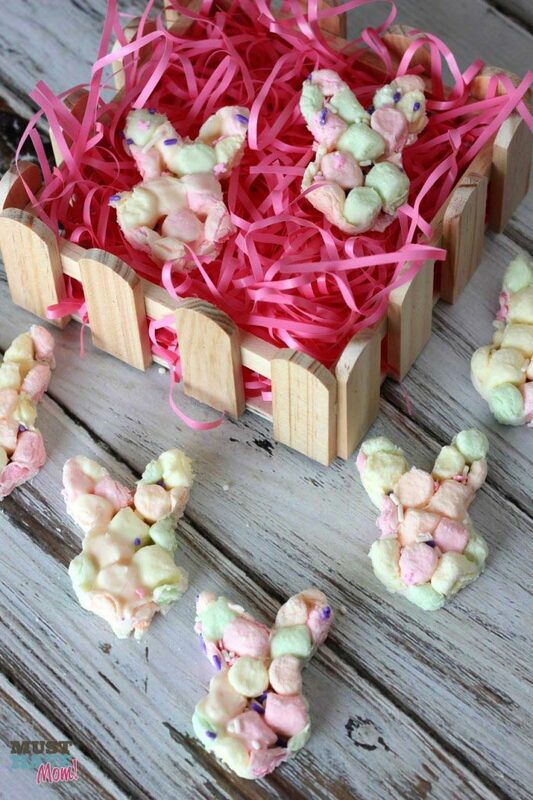 Easy Marshmallow Bunny Bark Recipe for Easter! – Must Have Mom – I’m starting to realise that no Holiday is complete without a bark recipe of some sort, and if you can make it into a topical shape it’s even better. So I had to share this Marshmallow Bunny Bark with you! 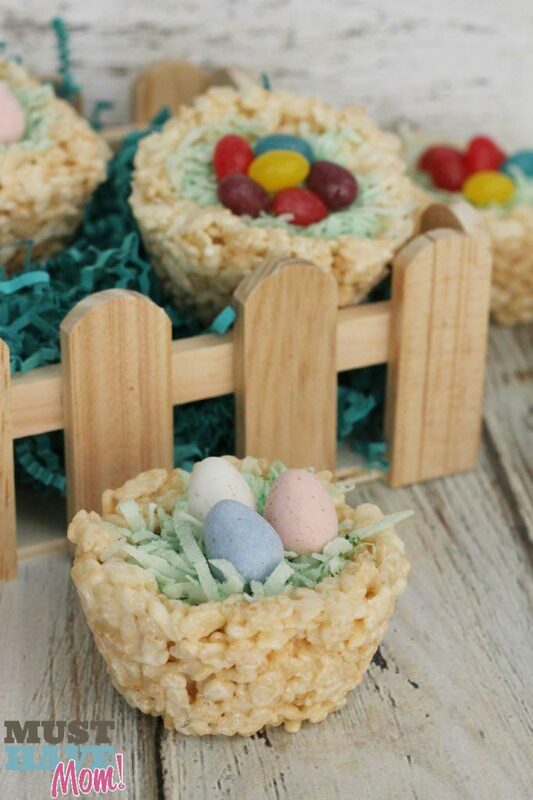 Rice Krispies Easter Baskets Recipe – Must Have Mom – Oh I’m loving these cute little Easter baskets, a perfect Easter dessert for the little ones. 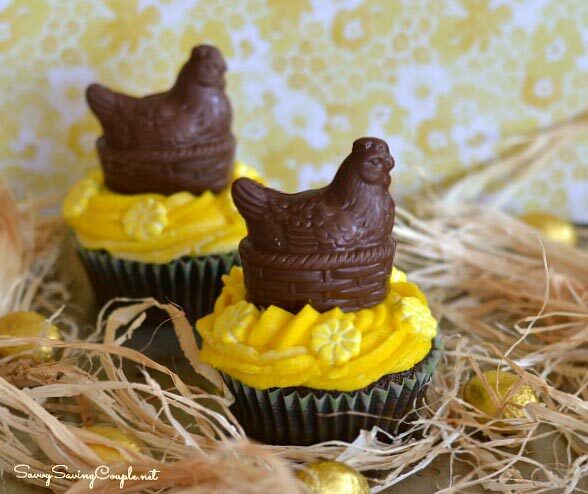 Chocolate Easter Hen Cupcakes with Yellow Butter Cream Frosting – Savvy Saving Couple – If you’re looking for a gluten free Easter treat with a twist how about these adorable Easter Hen cupcakes? That yellow frosting just screams spring time doesn’t it? 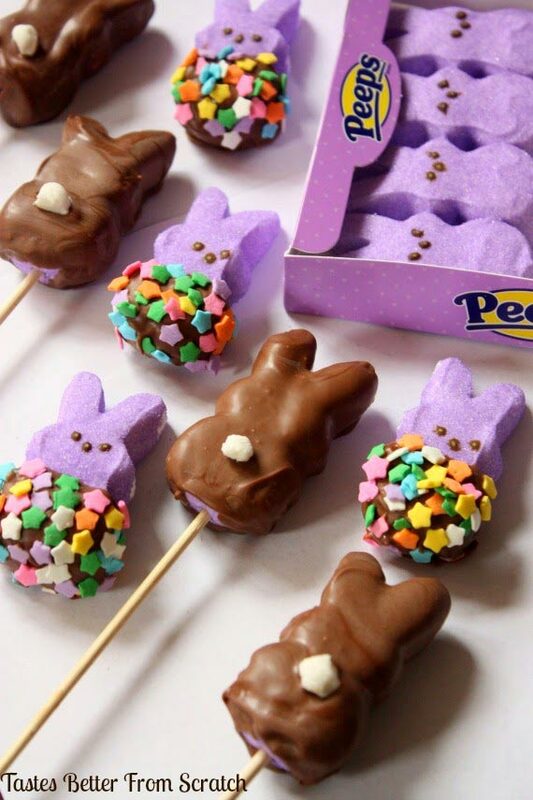 Chocolate-Dipped Peeps – Tastes Better From Scratch – This Easter dessert is super simple and requires no baking! 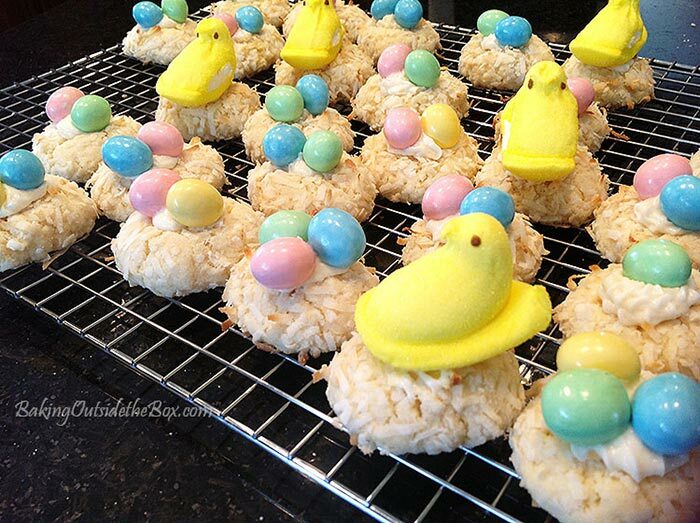 Bird’s Nest Cookie Recipe – Baking Outside the Box – Oh how adorable are these little bird’s nests? Perfect recipe for baking with kids; even toddlers would be able to help make these! 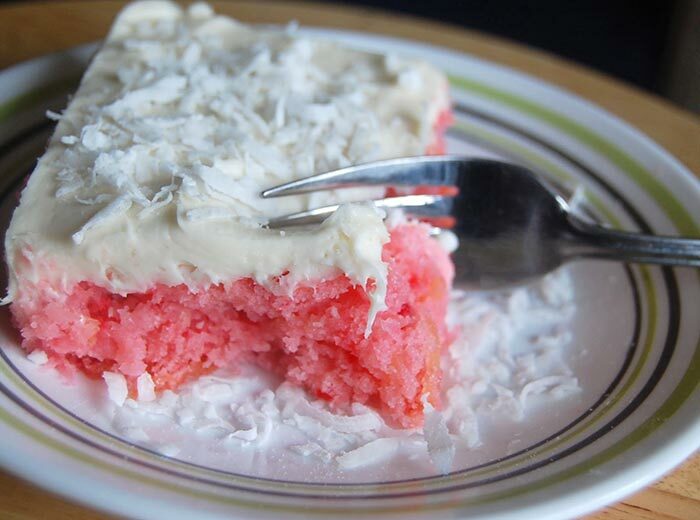 Strawberry Pineapple Cake with Cream Cheese Frosting – Table for Seven – Oh my shall we finish up with something a little more suitable for an adult Easter Dessert? This Strawberry Pineapple Cake should fit the bill quite nicely! Previous PostPrevious 12 Brilliantly Easy Ways to Decorate Amazing Easter Eggs!